Intermediate ride with a sustained climb on Emigrant Trail. Start/Finish at Junction of NSR 207/206 Kingsbury Grade and Foothill Road. A wonderful historical ride. Ride along the base of the Carson Range as you pass ranches and historical landmarks. Turn right on Fredericksburg Rd. and then right on Emigrant Trail. 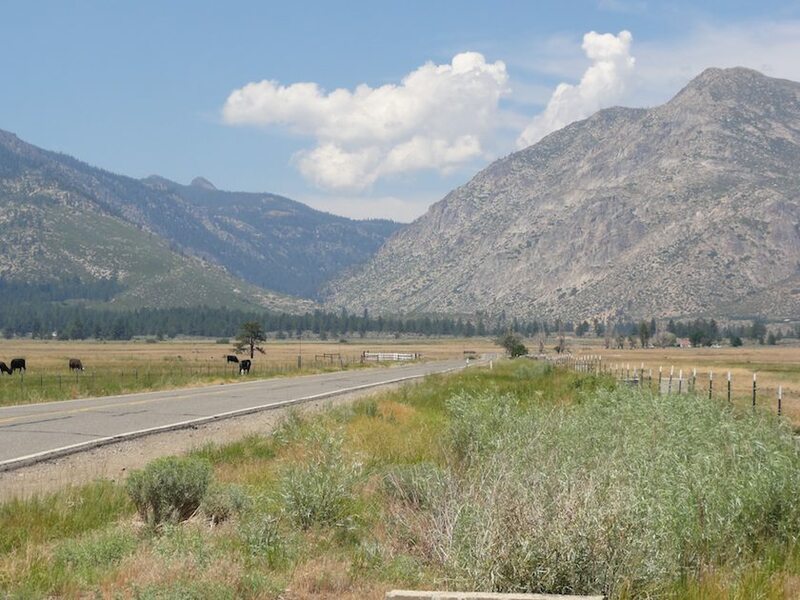 About 13 miles out you can stop at Woodfords Station and refresh yourself as the Pony Express riders and Emigrants did before heading to Luther Pass or Carson Pass. Cautiously cross Hwy 88 at Woodfords, as if going to Markleville, and you will turn left on Diamond Valley Rd. Ride out into the valley and you get a sense of the Wild West frontier – no urbanization or cars. You will loop back to Hwy 88 (Paynesville) where you cautiously cross an reconnect to Foothill Rd. for your return to Kingsbury Grade. 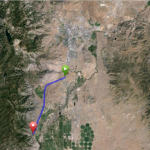 Ride Option: Carson River Road Ride. (38.780113, -119.821324). 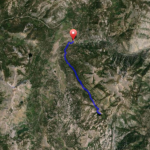 For a shorter ride or as another option, take Carson River Rd. located across Hwy 88 just before Woodfords. This riverside road is 3.47 miles in length and connects to Diamond Valley Rd at Paynesville. Turn left, cross Hwy 88 and you are on Foothill Rd. Foothill Road (SR206) is the path used by the Pony Express, the Emigrants, and the Mormons traveling to and from Carson City, Placerville and Sacramento. At Woodfords Store there is a monument honoring the Pony Express Station there. When you are in the center of Diamond Valley, you will come upon another historical site on the left, the home site and resting spot of Snowshoe Thompson. 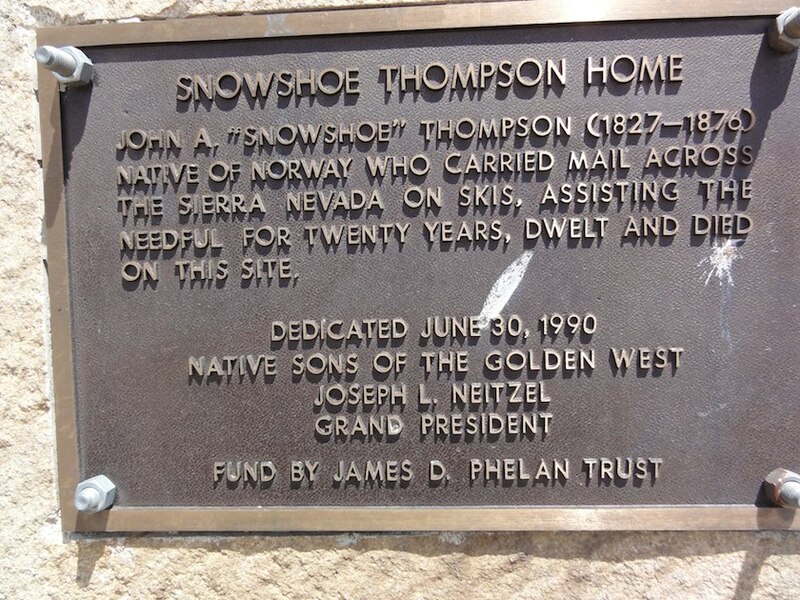 For over 20 years, Snowshoe Thompson carried mail (as a volunteer) over the Sierras during the winter months to deliver mail to Sacramento and back to Virginia City. It would take him two days to travel the ninety miles to Sacramento and three days to return. A Norwegian of descent, he made 10 foot long wooden skis to aid this travel over the snow. There is a monument honoring him at the Mormon Station State Park in Genoa. Passing Thompson’s resting place you will approach a slight climb and pass the current Washoe Tribal village of Hung Li Ti.